Carol is a true incentive professional, we have collaborated on global project proposals and are both members of the IMA and SITE two professional associations in the incentive field. Carol is a forward thinker and has developed cutting-edge technology that adds value to her clients. Keep Winning Carol. If you are an Author, want to become and author, or if you just understand what writing a book could do for your business or career, then you need to work with Carol. She can take you from the idea stage to completed book in record time. Plus, where most authors fall short is marketing their book. Carol’s systems and coaching will make you a bestselling author and expose a whole new world of 6 and 7 figure opportunities that most authors and coaches never even knew existed. Jump Start Your Success, Work with Carol Now. I’m a self-taught entrepreneur who followed my desire to be free from stupid rules and policies, dysfunctional silos, inefficient practices, uninspiring leaders, bad managers and a dog-eat-dog culture. Throughout my 20+ year entrepreneur journey I’ve had tremendous successes – Microsoft was my first client. I sold programs with annual budgets ranging from $100k to $2m. I earned 2 significant referral fees for making connections. I won Entrepreneur of the Year 2003. I became a best-selling author in 2012 and I balanced my roles as Mom, military wife and entrepreneur while building award-winning businesses. I also had one devastating failure – losing hundreds of thousands of our own dollars on a failed software project at the same time two of our best clients went bankrupt in 2009. I use these experiences and perspectives, along with my gifts, skills and knowledge to guide individuals as they become Enlightened Capitalists who reinvent business to transform lives. My clients have told me that I’m a breath of fresh air because I see things others don’t, try things others won’t and have high expectations for delivering exceptional experiences. I also focus on business strategy, performance, employee and customer engagement, leadership, marketing and sales to develop long-term sustainable and meaningful businesses which create a positive impact with a shared higher-purpose. You are an entrepreneur, corporate executive, professional service provider, local business owner, aspiring entrepreneur or employee who is looking for guidance and support to create or reinvent your business to attract, engage and retain people who are aligned with your vision, purpose, higher-purpose and values. You want to create a legacy which makes a difference in the lives of others, while positively impacting our planet. You are tired of the fallacy that meeting short-term numbers means the business is successful. You understand that success is much more — it’s about people, being sustainable, adding actual value to customer’s lives, lessening our environmental footprint, growing and developing leaders, making decisions which ensure the long term health of the organization (and its employees), creating positive experiences, seeing the trends and acting on them before others, and it’s about creating a high-performing culture so there is more profit to create a bigger impact. Your most pressing challenges include successfully navigating the speed of change – technological change, environmental change, cultural change and especially the changing expectations of your customers and your employees. You no longer have the luxury of time to solve your challenges and, as you lead your company, you have increased pressure to make quick and accurate decisions. You recognize the "old way" of doing things is no longer working and you know that if you don't pivot now, you'll have a very hard time remaining relevant and competitive in the future. Navigating in this environment is fraught with challenges -- your organization's culture determines the likelihood of success of any change initiatives, so if you need to change the culture, how do you do it? Your individual employees and managers will throw up roadblocks when they feel threatened, so how do you lessen their fear? Your customers may, or may not appreciate your changes, so how do you ensure you are changing the right things? Your competition is embarking on their own change initiatives, so how do you position your business so their changes won't matter as much? Various existing technologies will reach the tipping point over the next 5 - 10 years, so how can you capitalize on them? The sharing economy isn't about to go away, so what does this mean for your business models? The economy, the government, the threats to security and safety and resources are all in a state of flux and public sentiment is changing, so how can you protect your business as these extermal influences come into play? The list goes on and on. When you hire Carol as a consultant she will guide you to understand how to leverage people to co-create your sustainable, resilient company. She'll ensure that changes in one area will not have a negative impact in another area. She'll guide you, your leadership team and your employees to think and ultimately become, Enlightened Capitalists who create a positive impact by using your business to transform lives. How do you meet the needs of your employees while delivering expected results in a fast-moving business environment? How do you respond to conflicting demands of investors, customers and employees? How do you respond when your C-suite asks you to meet your quarterly goals -- especially if you know that your decisions are putting the organization at risk in the long term? Change is happening at record speed – new competitors, new regulations and new technologies are just the start of your challenges. Vocal and powerful customers expect you to deliver personalized, customized and consistent experiences and if you don’t, they will tell the world. Your employees’ expectations are equally as demanding as your customers. If you misstep, they will leave or worse – stay and stop caring and greatly reducing their discretionary effort at the same time. You need help to create plans that deliver on your brand promise, produce expected results and manage people performance, often while you are doing more with less. When you hire Carol as a consultant she will guide you to understand how to leverage people to co-create your sustainable, resilient company. She'll ensure that changes in one area will not have a negative impact in another area. She'll guide you, your leadership team and your employees to think, and ultimately become, Enlightened Capitalists who create a positive impact by using your business to transform lives. You have a burning desire to make a difference in your organization -- a long-lasting, positive difference which betters the lives of people inside and outside of the organization, which also helps you to further your career. You see the writing on the wall and you want to be part of the change initiatives in a positive way. You understand that business leaders are struggling with the pace of change and the demands of both customers and employees. You are looking to educate yourself so you can guide your management and leadership teams as they navigate these fast yet murky waters. When you participate in one of Carol’s educational programs – whether in person or online – you will understand how to position yourself to help grow the organization sustainably and powerfully. Join us and make a difference. Your dream is to be self-employed with the freedom, risk and reward of being your own boss. You don't want to learn the hard way (like Carol did). You don't want to build a business which is doomed from the get-go (like the majority of start-ups). You want to lessen the learning curve, fast-track success and start making a difference sooner rather than later. You want a meaningful business, a business which creates a ripple, adds value to your customers lives, treats your employees well (but not too well) and, of course, provides you with the type of lifestyle and income you dream of. You don't have the time, or desire, to spin your wheels with a prescription blueprint which may or may not (most likely won't) work for you. Instead you want an experienced mentor, advisor, consultant who has been in your shoes and who has built a number of businesses and who has helped solopreneurs, professionals, entrepreneurs and organizations in the "Fortune 100 and 500". You may prefer to join a group of peers and learn with them or you may prefer to fast-track your plan by hiring Carol and her team on a 1:1 basis. Regardless, you don't have time for fluff and you certainly do not want someone to lead you astray by patting you on the head and cheering you on to failure. You are ready, willing and able to get the "straight goods" so you can beat the odds. You are going to take action and be accountable to yourself, your family and your supporters. You are ready to be an Enlightened Capitalist! I have created a number of brands which help business leaders to become Enlightened Capitalists who grow their business, improve their business relationships and create a more sustainable, transformational, attractive and resourceful business. … you will find ways to do this with one or more of my brands. My team includes specialists in leadership, culture, M&A, customer experience, employee engagement, finance, marketing, operations and turnarounds are available to assist as needed. My work is about reinventing business to transform lives — your life and the lives of those who support your business and who you support — getting you from “Here” to “There”. HERE is where you are now. It is what it is – the culmination of all your great and not so great decisions. THERE is where you want to be. The difference between “Here and There” is the letter “T”. One of the tools I use is the T-form where you identify what to increase, decrease, stop and start to get you from “Here” to “There”. Another tool that I use is the F.O.R.C.E. Formula™ for business transformation. The F.O.R.C.E. Formula™ covers 5 main areas within a business to assess and improve to transform your business and it is used within the Enlightened Capitalist™ community. This is what you’ve built already. It’s what you are working from. Is the foundation strong enough to carry your business or are there parts of it that need reinforcement. Operations looks at how you operate – the decisions / priorities, processes, systems, departments etc. Reach looks at unique ways to expand your business through various non-traditional marketing techniques. Although it takes the 4th place in the acronym it is your “canary in the coalmine” in terms of your business health and prospects. What are people experiencing? Is it aligned with your brand promise? Is it consistent? What decisions are ruining it? It’s quite simple – your employees deliver your customer experience and your customer experience will never be better than your employee experience. So we look at how to attract, retain, inspire, recognize and reward employees. You can also experience my work through my blog, Reinvention Show, in the articles I write for other publications, through my books and at the events I speak at. 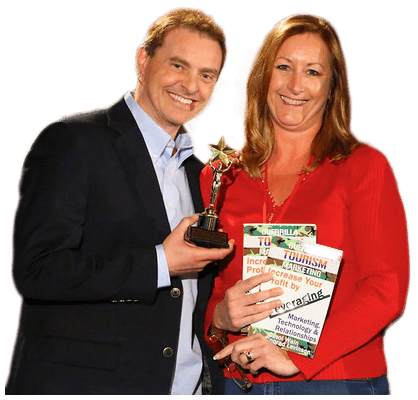 Are you looking to reinvent your life or transform your business? 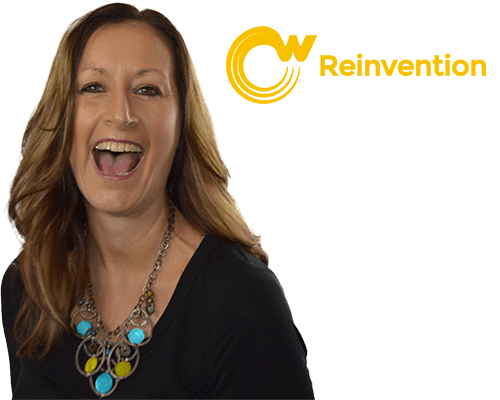 Check out the Reinvention Show with Carol Wain.